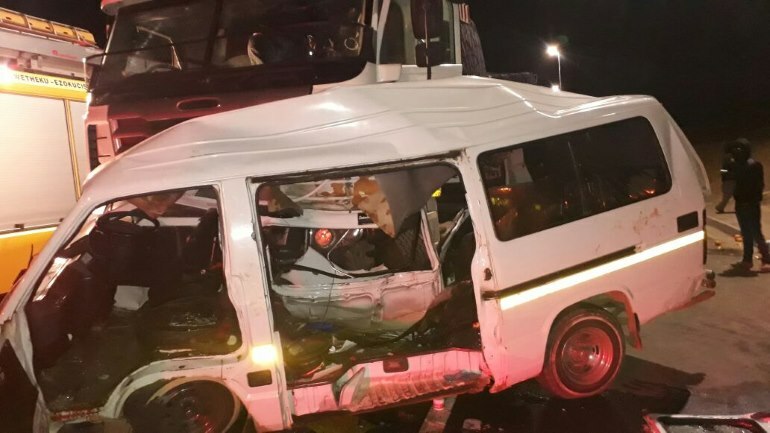 Five people were left injured last night when a truck and taxi collided on the Dumasani Makhaye Road in Ntuzuma, KwaZulu Natal. ER24 paramedics, along with other services, arrived on the scene shortly after 21h00 and found both vehicles in the middle of the road, still smashed together. Upon closer inspection, paramedics found one patient lying trapped inside the taxi. Fire services had to use specialized rescue equipment to free the patient from the vehicle. Once freed, paramedics assessed the patients and found that five had sustained injuries ranging from minor to moderate. The cause of the collision is not yet known but local authorities were on the scene for further investigations.